The cutest gift Santa could bring you! Help Santa at the North Pole as he prepares for the busiest time of year. Make sure he checks the list twice and see who's naughty or nice. 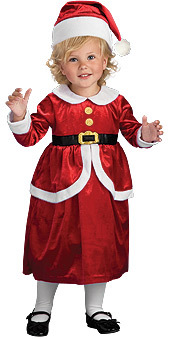 Don't forget to make him lots of cookies in this Lil Ms Claus Costume.